A Missouri University of Science and Technology effort to investigate environmentally benign, corrosion-resistant coatings for military aircraft and other weapons systems has received national recognition from the U.S. Defense Department. The Missouri S&T project was selected as a 2012 Project of the Year for the Weapon Systems and Platforms program within the Defense Department’s Strategic Environmental Research and Development Program. The Missouri S&T project was one of four selected by SERDP for helping the agency “achieve its mission while improving its environmental performance,” SERDP says in its announcement of the winning programs. Led by Dr. Bill Fahrenholtz, Curators’ Professor of ceramic engineering and a senior investigator in Missouri S&T’s Materials Research Center, and Dr. Matt O’Keefe, professor of metallurgical engineering and director of the MRC, the Missouri S&T researchers worked with Dr. Eric Morris and Rich Albers, researchers with Deft Inc. of Irvine, Calif., to understand the corrosion-protection mechanisms for rare-earth-based corrosion coatings for use on military aircraft. These rare-earth compounds are believed to be less harmful to the environment than conventional coating materials. Most coating systems used for military aircraft contain hexavalent chromium, a toxic and carcinogenic substance. In 2009, the Pentagon adopted a policy to eliminate the use of compounds containing hexavalent chromium. The Missouri S&T and Deft team “have made fundamental discoveries in understanding how rare-earth compounds containing cerium or praseodymium inhibit corrosion,” SERDP says. “Not only does the research of Dr. Fahrenholtz and his team represent a significant scientific achievement, it also exemplifies a highly successful collaborative effort between a university and private industry. “The results of this project will provide direction for further development of rare-earth compounds as surface treatments and coatings for the military that will reduce the use of toxic … compounds while providing corrosion protection,” SERDP says. One of the coatings investigated in this project was a primer coating that contains a corrosion inhibitor based on praseodymium oxide. The corrosion inhibitor was developed at Missouri S&T as part of the thesis research of Morris under the guidance Dr. Jim Stoffer, Curators’ Professor emeritus of chemistry, and the late Dr. Tom O’Keefe, Curators’ Professor of metallurgical engineering. 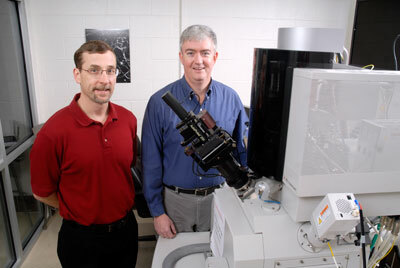 Stoffer and Tom O’Keefe began research on rare-earth coatings at Missouri S&T in the mid-1980s through an effort funded by McDonnell-Douglas, which later merged with Boeing. After completing his Ph.D. at Missouri S&T, Morris was hired by Deft, which also licensed the rare-earth inhibitor technology developed at S&T. 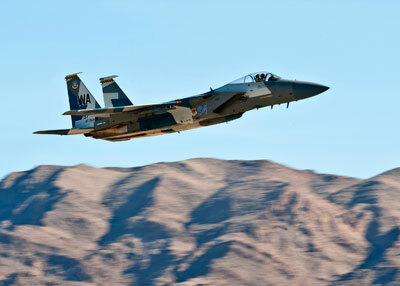 The resulting rare-earth primer is now used on several military aircraft, including F-15 fighters and Apache helicopters. The primer was cited by R&D Magazine in its 2006 R&D 100 listing of that year’s most technologically significant achievements. Dr. Becky Treu, who worked on the project while a post-doctoral fellow at S&T. She is now an instructor at Moberly Area Community College in Moberly, Mo. Dr. Beth Kulp of Alton, Ill., who worked on the project as a post-doctoral researcher. Kulp earned a bachelor of science degree in chemistry from Missouri S&T in 2000 and a Ph.D. in chemistry from S&T in 2009. Dr. Surender Maddela, a research assistant professor in materials science and engineering at S&T. James Claypool, a research engineer in Missouri S&T’s Materials Research Center. Daimon Heller of St. Paul, Minn., who worked on the project as a Ph.D. student and now works for 3M. He earned a bachelor’s degree in ceramic engineering in 2006 and a Ph.D. in materials science and engineering in 2010. Will Pinc of Tucson, Ariz., who worked on the project while a Ph.D. student. He earned a Ph.D. in materials science and engineering from Missouri S&T in 2010 and is now a research professor at the University of Arizona. 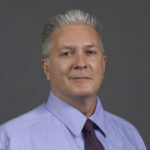 Simon Joshi of Hamilton, Ontario, Canada, who worked on the project as a Ph.D. student and is now a post-doctoral fellow at McMaster University. He earned a Ph.D. in materials science and engineering from Missouri S&T in 2010. Dr. Eric Morris of Deft Inc., who earned his Ph.D. in chemistry from Missouri S&T in 2000. He was one of the inventors of the rare-earth corrosion inhibitor used in the coating that was studied in this project. Rich Albers, a chemist at Deft Inc. who develops paint formulations.